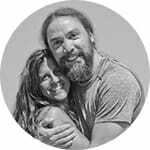 These retreats are for anyone who wants to create dramatic and immediate change in their lives – whether you are looking for a personal retreat, a detox and cleansing or to further your teacher training studies. All levels from beginner to advanced are welcome. You will be given tools to establish your own daily yoga and meditation practice that will serve your life goals. Upon completion of this retreat, students will receive a Certificate of Completion documenting participation and attendance. Students with a 200-hour certificate will receive Yoga Alliance course credits towards their 500 hour Yoga teacher Training certificate. The Island of the Gods lives up to its name with its sheer natural beauty, lush forests and spectacular terraced rice fields that exude peace and serenity. Bali will enchant you with dramatic dances and colourful ceremonies, bright arts & crafts, pristine beach resorts and exciting nightlife. Wherever you go, culture abounds, From fragrant food to intricately carved temples, this is a feast for all the senses. 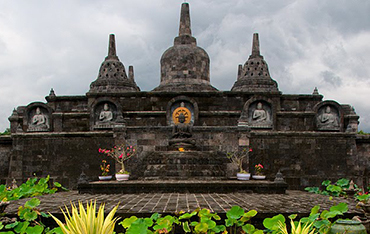 10 nights accommodation in 2 spectacular hotels will give you the opportunity to experience both sides of Bali. 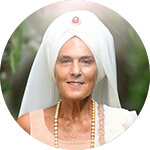 Kundalini Yoga is a powerful, life-changing practise. It is designed to create fast and lasting results. It will free you from your subconscious fears and self-imposed limitations. It will access a strength you’re not even aware you have, and put you on a path of freedom and purpose. This immersion will help you develop your own personal practice through chakra balancing work, and give those on the teaching path powerful tools to teach. When attending the Kundalini Basics immersion you will stay in vibrant and spiritual Ubud, featured in bestselling Eat, Pray, Love. As your retreat takes place during the Balinese New Year you will be treated to New Year celebration events on March 16th,and on the 17th you will stay onsite at Blue Karma, to honor a day of silence which includes no travel. This is an invitation to discover the sounds, flavours and sights of Bali, while going within, to experience a deep, powerful yogic experience. When you are staying in Canggu, you will be accommodated at the magnificent Plataran Canggu Resort & Spa, located in South West Bali, on the pristine coast. 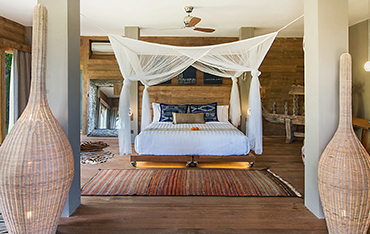 Cocooned within tropical gardens, alongside a river and lush green paddy fields, Plataran Canggu Resort & Spa is an oasis of amazing peace and tranquility – a secret hideaway disturbed only by the twitter of birdsong and the crickets’ hum. This is a delightful piece of forgotten Bali and authentic Balinese village life that lies just steps from the main street of Canggu, yet feels far removed from the madding crowd. Featuring private swimming pools for most villas, 2 community swimming pools, an onsite restaurant and café, 4 spas, and a complimentary 1 hour massage, this luxurious resort offers true serenity. 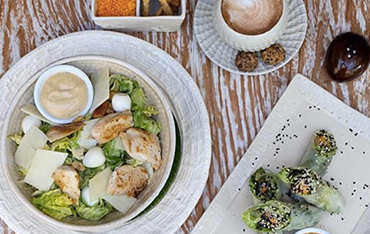 Canggu is the new surfer’s paradise with a growing number of trendy cafes, an interesting variety of restaurants and emerging holistic scene, all infused by rural ambience. Our trip includes daily brunch, daily afternoon tea (in Ubud), and closing dinners where we’ll share the tastes and aromas of Balinese culinary heritage, reinterpreted with a modern twist. Healthy farm to table local dishes include something for everyone, including vegan and vegetarian delights. For the rest of your meals, we encourage you to explore the Ubud and Canggu areas and discover an explosion of flavour, fresh locally grown produce with exciting vegan and vegetarian options. Indulge yourself with a one- hour complimentary massage during your stay at both hotels. Enjoy a complimentary shuttle service to a 5 km radius at both hotels. Flights to the island are not included. There are so many activities available to enjoy. Some of our favourites are Balinese cultural activities, cooking classes, fire ceremonies, traditional Balinese blessing ceremonies, visits to the temple, walks through the rice paddies, water blessing ceremonies and surfing in Canggu. Hear mystical traditional stories, enjoy breath-taking sunsets and savour new and exciting flavours.